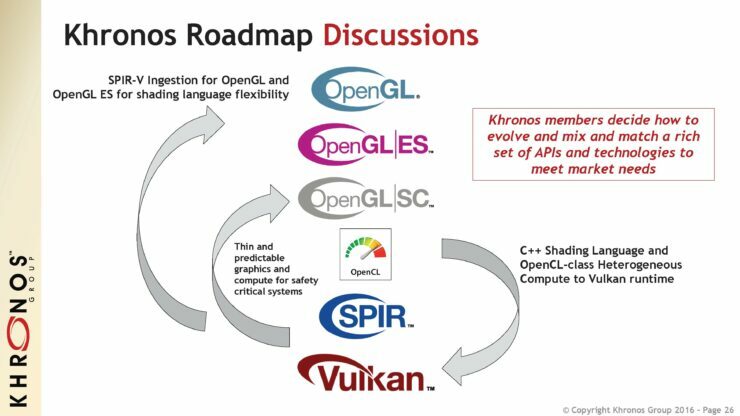 Today, the Khronos Group has released the official specifications of the Vulkan 1.0 API with the Industry leaders rallying behind with support. 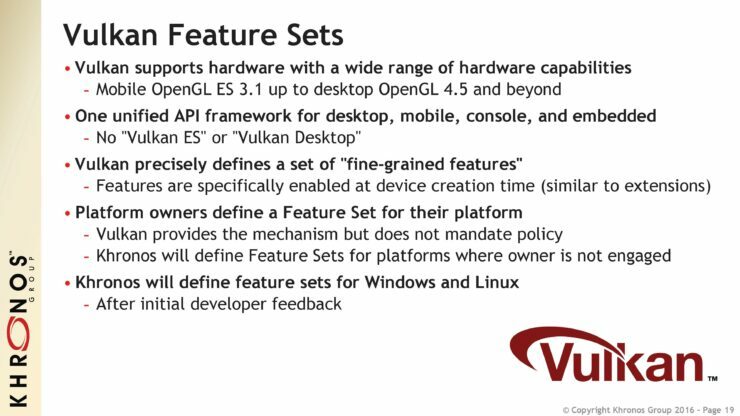 Based on the Mantle API, the Vulkan API promises to provide modern low-level capability across all platforms and devices. 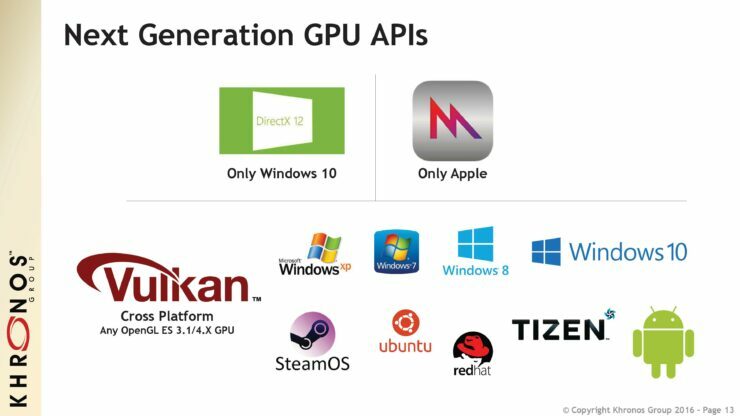 Both AMD and Nvidia have released their primary support drivers for Vulkan API. 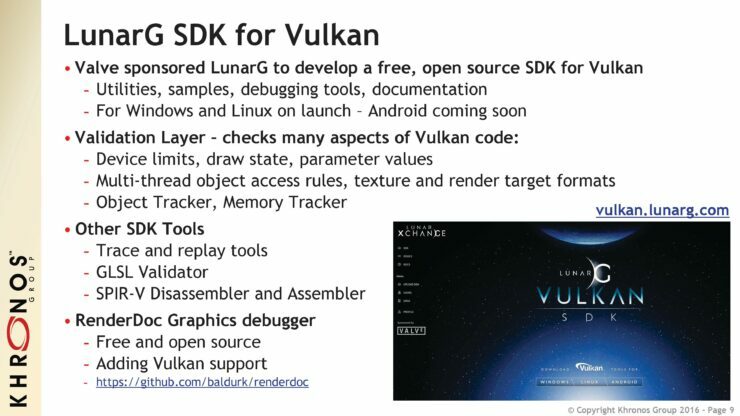 These primary support drivers are currently in their beta state but should be able to run any Vulkan based application that is released for early adopters. 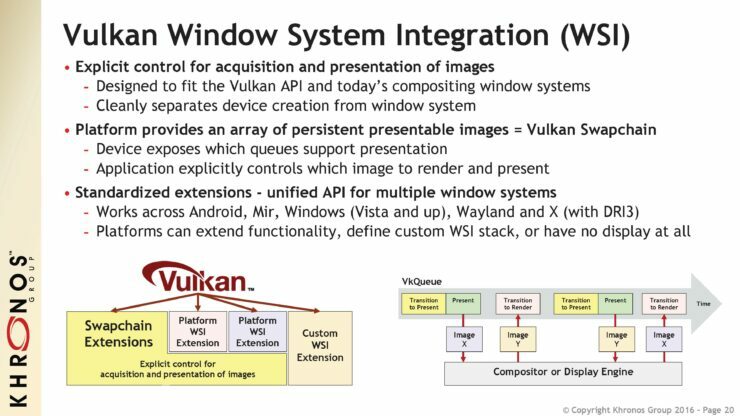 The story of Vulkan starts with Mantle API. 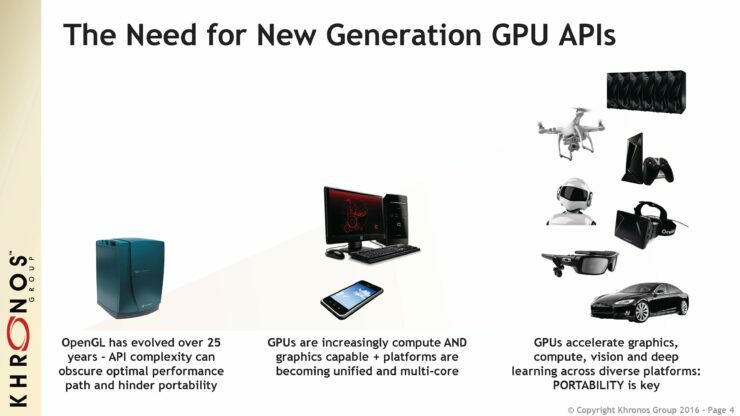 Mantle as we knew it, is no more. 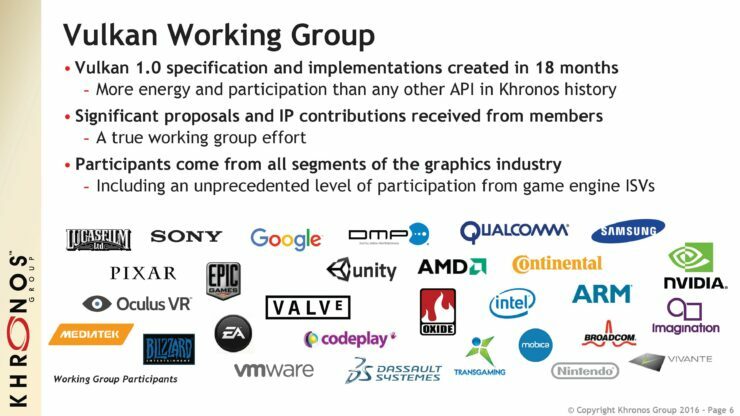 However, the API still exists and the partially developed ecosystem does as well. 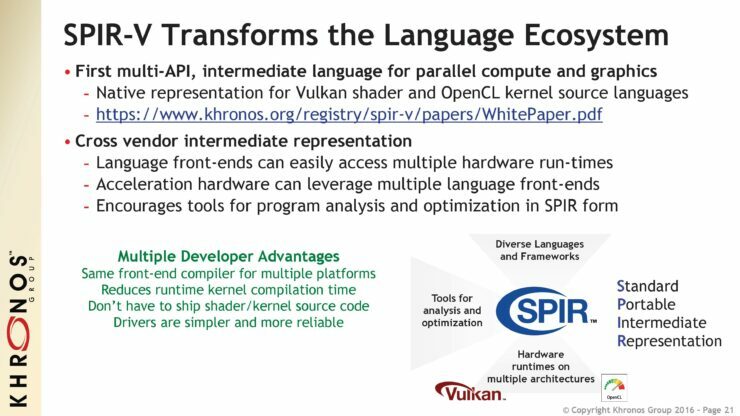 To put it bluntly Mantle API split into two offshoots: the Vulkan API, champion of the open world and Mantle API as it is now, a relatively proprietary system that AMD will use inhouse and will only appear in select use cases (eg: LiquidVR). 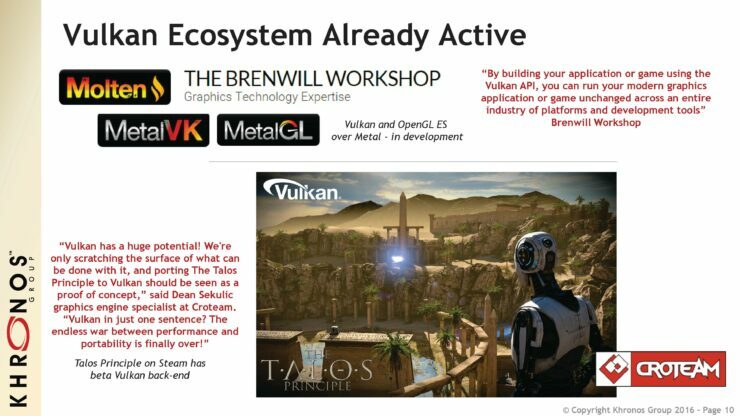 Vulkan aims to be bigger and better than what it once was. 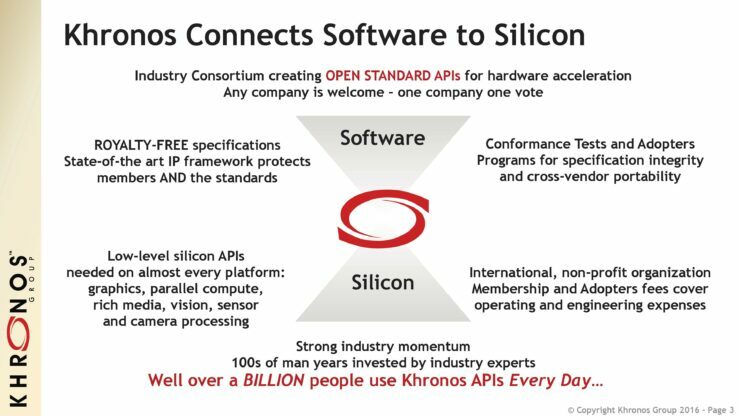 It is the only low level API that supports every single platform in existence. 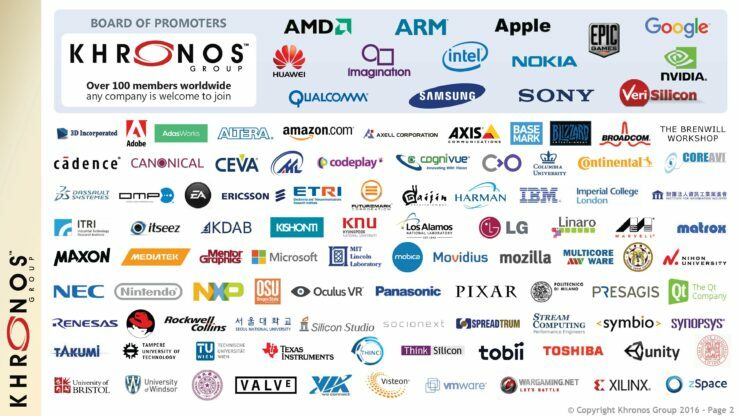 As such, a lot is riding on it and interest from key players is quite high. 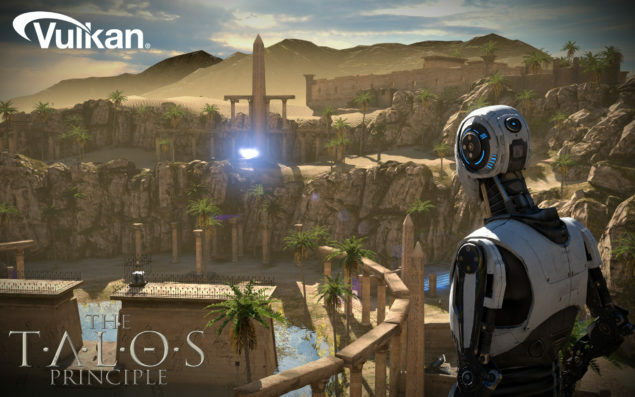 Google also plans to deploy and promote it as the API of choice of next generation Android games. 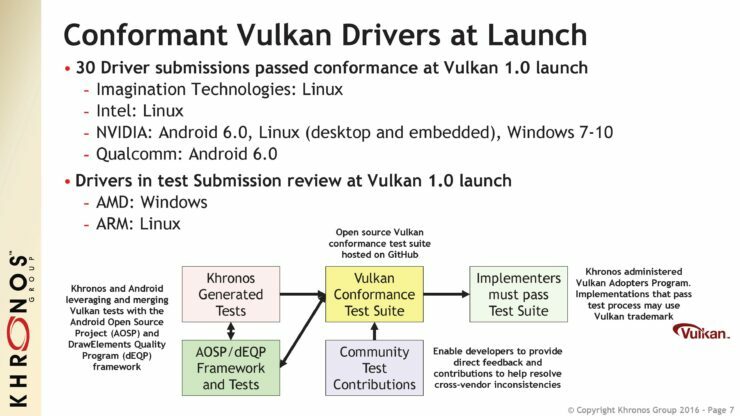 Vulkan is a unified specification that minimizes driver overhead and enables multi-threaded GPU command preparation for optimal graphics and compute performance on diverse mobile, desktop, console and embedded platforms. 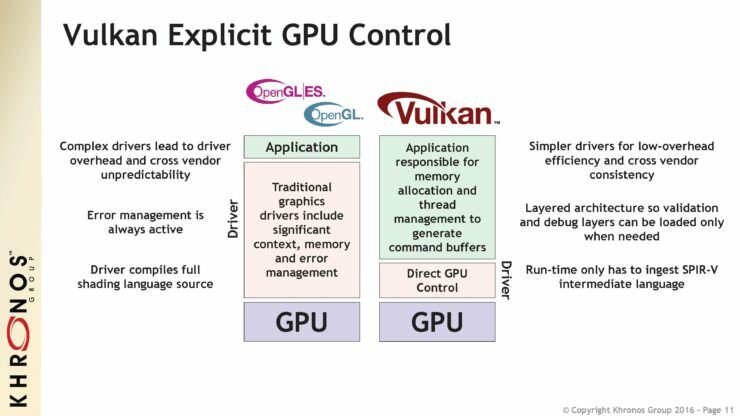 Vulkan also provides the direct GPU control demanded by sophisticated game engines, middleware and applications with the cross vendor performance and functional portability resulting from simpler, more predictable drivers. 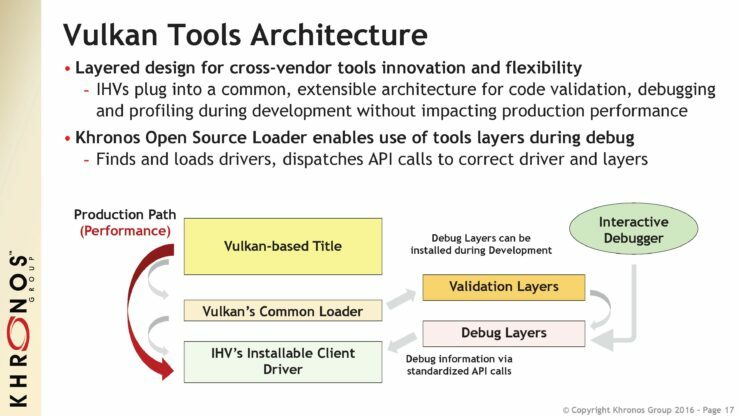 The layered design of Vulkan enables multiple IHVs to plug into a common, extensible architecture for code validation, debugging and profiling during development without impacting performance. 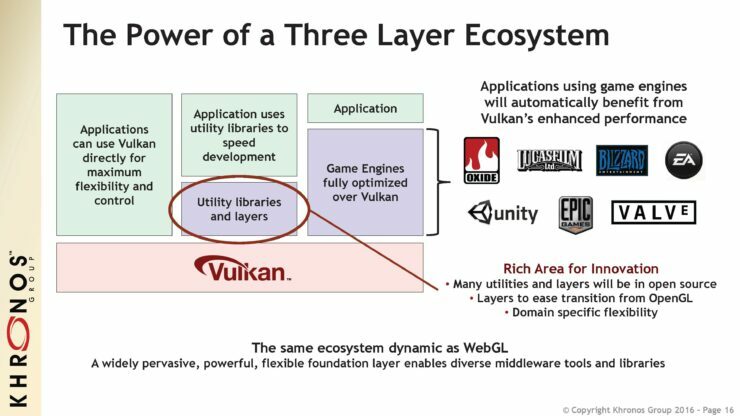 Vulkan API was designed from the ground up, to not only provide to the metal access to the GPU but also keep all the mainstreams platforms in mind. 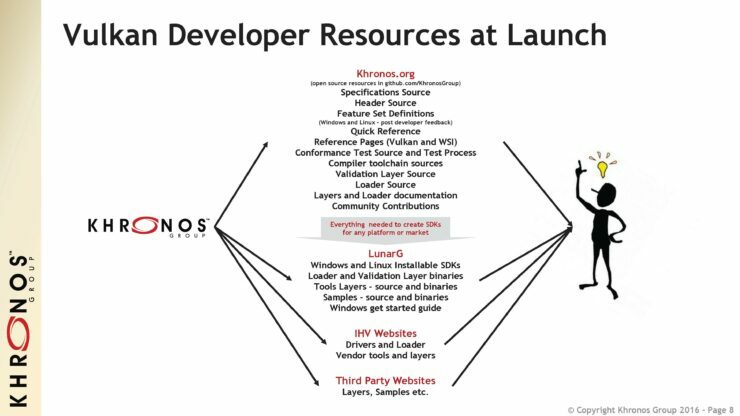 Since it’s based on Mantle, and is redesigned from scratch, the documentation should be pretty clean at this point. 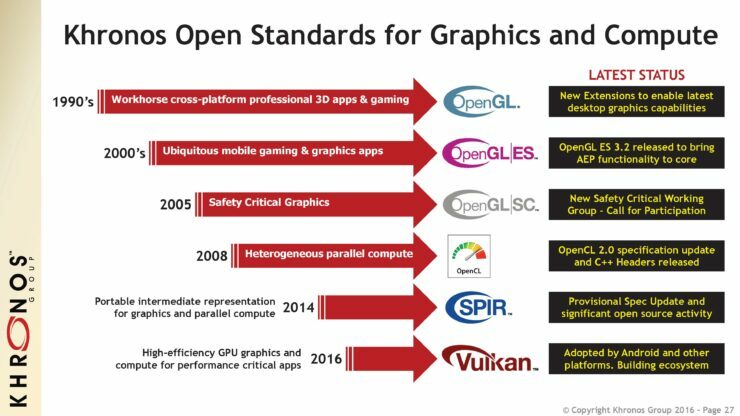 Another big advantage over OpenGL that it possesses is a multi-core friendly architecture. 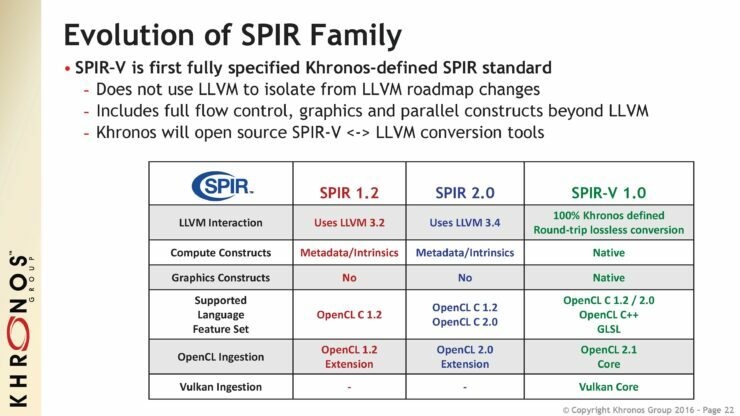 Where OpenGL didn’t allow generation of graphic commands in parallel to command execution, Vulkan happily allows multiple command buffers in parallel. 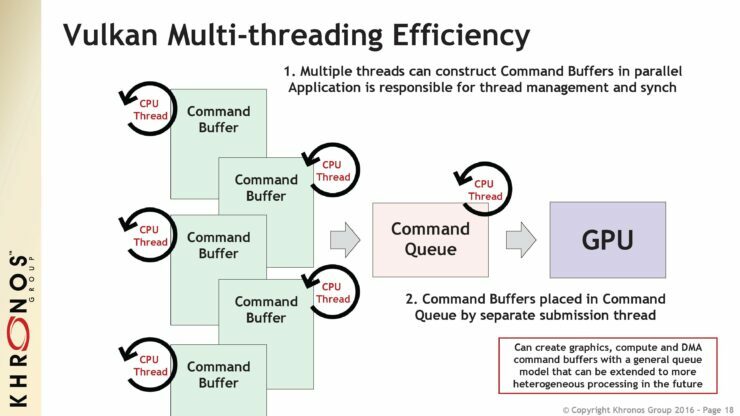 Basically, in CPU with 8 threads, previously what happened was a sort of haphazard attempt at queuing with little to no dispersion over the threads. 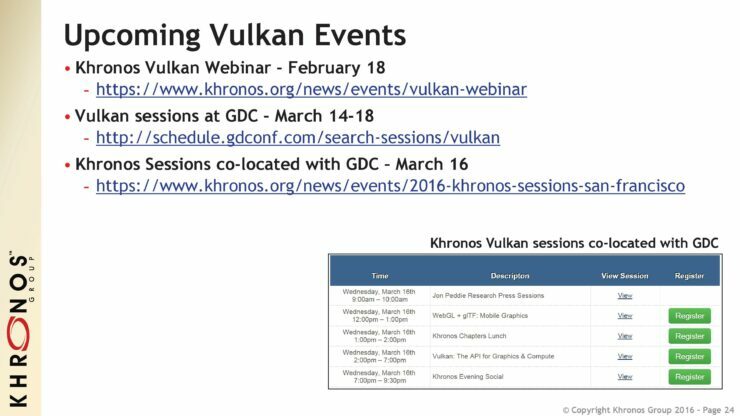 February 16th 2016 – San Francisco – The Khronos™ Group, an open consortium of leading hardware and software companies, announces the immediate availability of the Vulkan™ 1.0 royalty-free, open standard API specification. 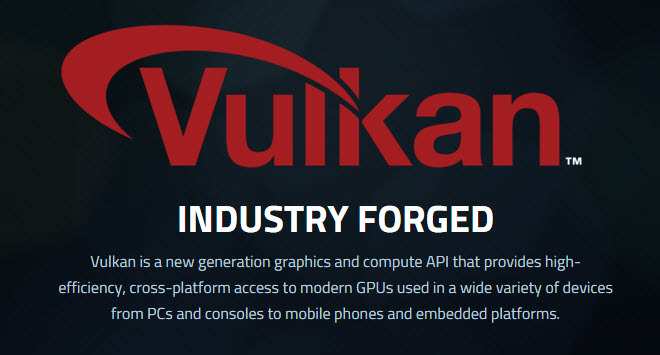 Vulkan provides high-efficiency, cross-platform access to graphics and compute on modern GPUs used in a wide variety of devices from PCs and consoles to mobile phones and embedded platforms. 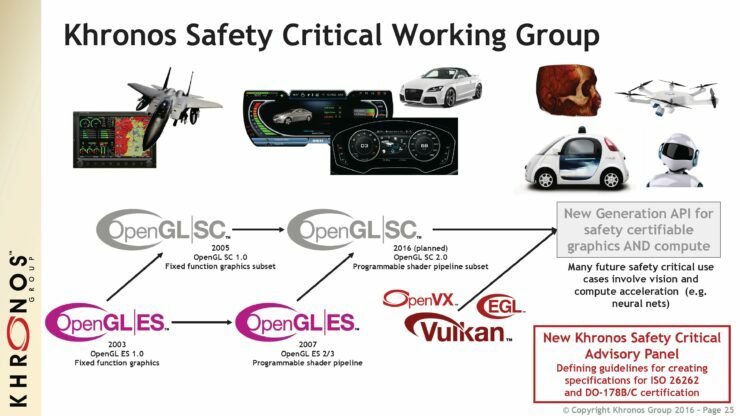 This ground-up design, complementing the OpenGL® and OpenGL ES™ 3D APIs, provides applications direct control over GPU acceleration for maximized performance and predictability with minimized CPU overhead and efficient multi-threaded performance. 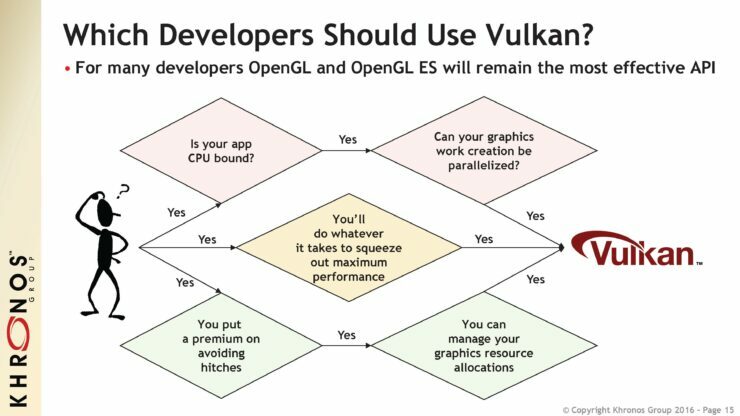 Multiple Vulkan 1.0 hardware drivers and SDKs are available immediately for developers to begin creating Vulkan applications and engines. 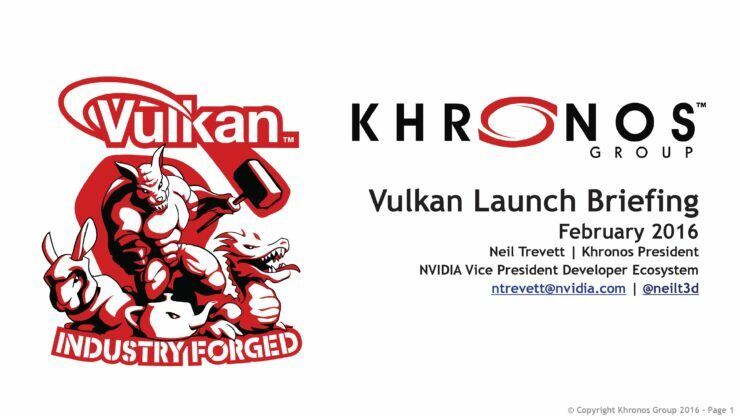 More information on Vulkan is available at https://www.khronos.org/vulkan/. 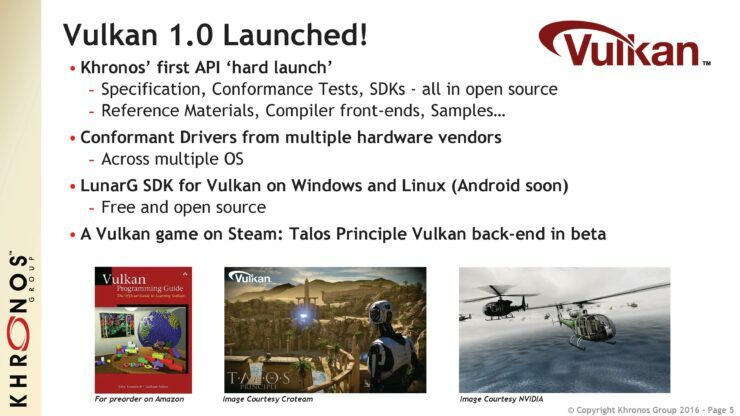 It looks like the folks over at Computerbase.de have already done some testing using the new beta drivers and the Vulkan API. 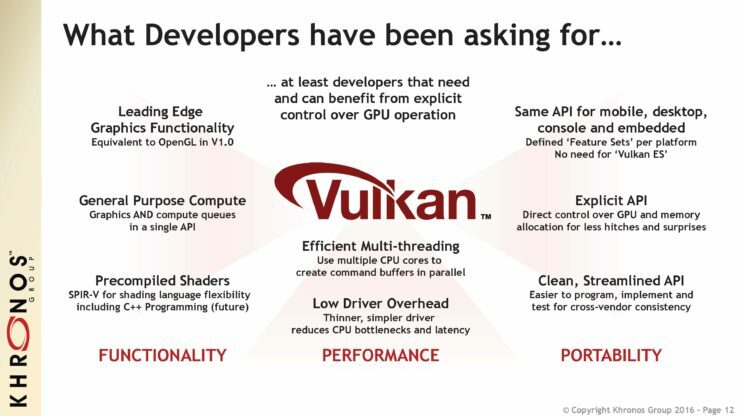 According to their results, the Vulkan API is slightly behind the DX11 API. 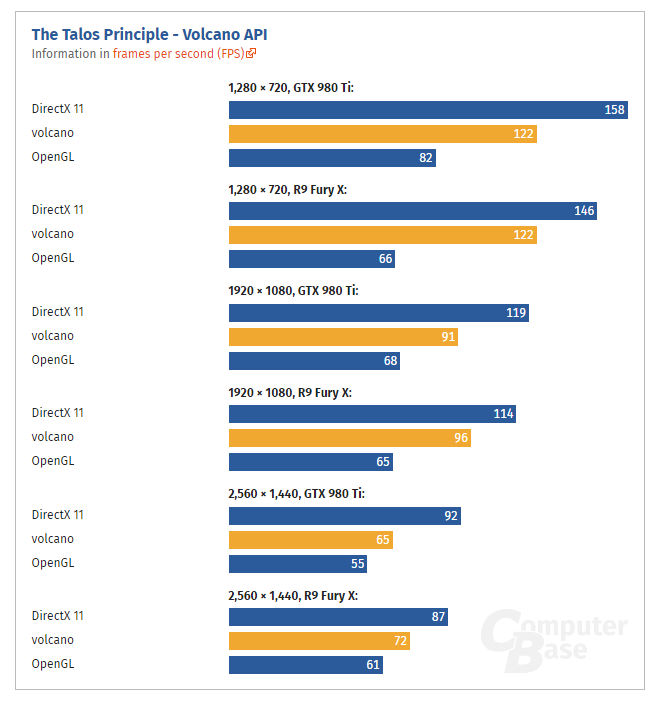 I would urge readers to treat this one with caution since we have no way of verifying these results right now. We are going to be doing our own testing and report back as soon as possible.